This is the official site of theCharles A. Brown High Alumni Association. It is dedicated to all students and staff of Charles A. Brown High School in Charleston, South Carolina and contains reunion information, photos, history, and alumni association information. You are encouraged to send along memories and stories that you may have of events, faculty, experiences, tributes, what C. A. Brown High means to you. This information will be reviewed and added to the website for others to enjoy. Please let us know if you have old photographs or yearbooks that you would like to share as well. A section has been included that lists the teachers and other staff members who taught and worked at C. A. Brown High School down through the years. Please review the list and let us know who we need to add or if other corrections need to be made. Visit often. > Join CABHAA Facebook click here! 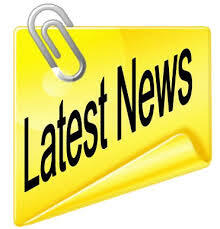 > Take a look at Upcoming Events click here. > How to Give a Gift in Memory click here! A beautiful evening with wonderful and beautiful people. U. S. Congressman James E. Clyburn (SC-6) House Assistant Democratic Leader will keynote this year’s bi-annual Christmas Gala on Saturday December 22, 2012. Festivities will be held the entire weekend of December 21-23 as we mark the 50th Anniversary of our school’s opening. Along with the many activities. The CABHAA at its regularly scheduled meeting on August 14, 2012 awarded its $500.00 George D. Stanyard tuition scholarship to Tommie S. Middleton. She is the daughter of Penelope S. Middleton, class of 1982, and she will be attending Columbia College in Columbia, S. C. this fall majoring in English & Psychology. Tommie’s one and one-half page essay on “Why is it important for you to vote in this election” was selected from the four that were submitted. The four essays were submitted anonymously to Mr. Gerald Mackey, former English teacher at C.A. Brown, who read and critiqued them to make the final selection. Our first $500.00 Class of 1970 Effie M. Bryan Memorial Scholarship was awarded to Najee Washington. Najee is the daughter of Ms. Terry Washington class of 1977. She is a rising junior at Winthrop University in Rock Hill, S. C. majoring in Athletic Training. Najee’s one and one-half page essay on “Selecting one of numerous controversies President Obama has been faced with and explain how he dealt with it” was selected from the two that were submitted. The two essays were submitted anonymously to Mrs. Joan Marshall, former English teacher at C. A. Brown High, who read and critiqued them to make the final selection. 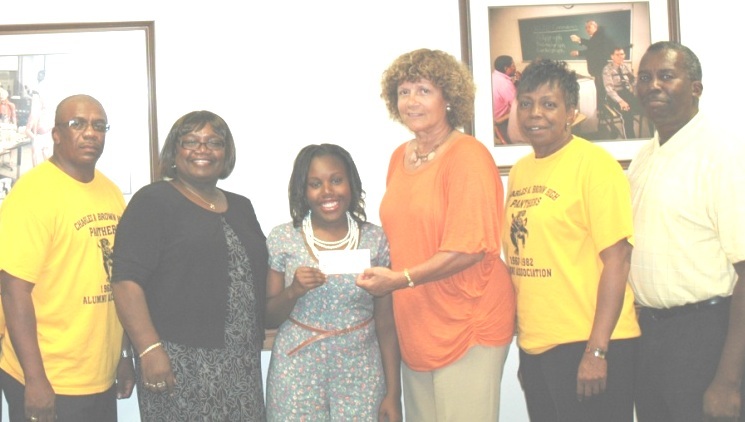 The CABHAA at its regularly scheduled meeting on August 13, 2013 awarded its $500.00 George D. Stanyard tuition scholarship to Najee L. Washington. Najee is the daughter of Ms. Terry Washington class of 1977. She is a rising senior at Winthrop University in Rock Hill, S. C. majoring in Athletic Training. Najee’s one and one-half page essay on “Describe how you have demonstrated leadership ability both in and out of school” was selected from the two that were submitted. The two essays were submitted anonymously to Mr. Gerald Mackey, former English teacher at C. A. Brown High, who read and critiqued them to make the final selection. Keith Jones, Sr., (father) Blondelle Gadsden and Deacon Richard Gathers, Sr. 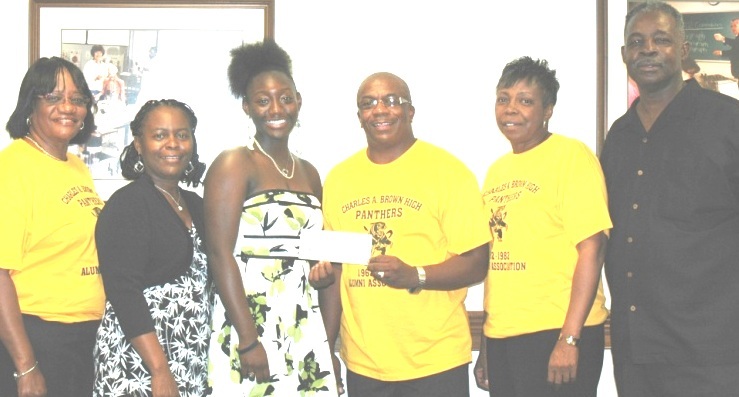 The CABHAA at its regularly scheduled meeting on August 11, 2015 awarded Keith Jones, Jr. its $500.00 George D. Stanyard tuition scholarship. Two essays were received and submitted anonymously to Mr. Gerald Mackey, former English teacher at C. A. Brown High, who read and critiqued them to make the final selection. Keith Jones, Jr. is a graduate of James Island Charter High School. He attends “Mother” Emanuel AME Church where he is an active member and Parliamentarian of the YPD and a member of the Acolyte Ministry. He loves drawing and playing basketball. Keith has been accepted to North Carolina A & T University; he aspires to major in graphic design with a minor in business. He is the proud son of Mr. & Mrs. Keith and Natasha Jones. Our second runner-up Donnavan Jefferson, son of Glendora R. Jefferson (80) and the late Curtis Jefferson was also awarded a $500.00 scholarship. Donnavan is a graduate of the Military Magnet School and will attend Coastal Carolina University in Conway, SC. Best Wishes to Shanae Green, winner of the Association’s one time Trident Technical College $500.00 Scholarship in collaboration with East Side Day 2012. 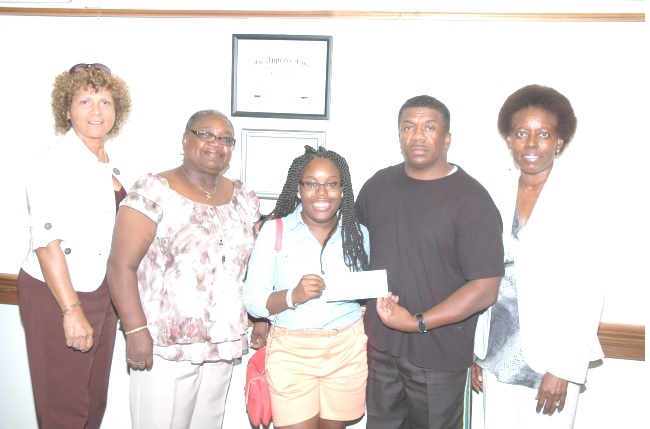 The CABHAA at its regularly scheduled meeting on May 10, 2011 awarded its first $500.00 tuition scholarship to Merrill J. Gadsden II. Merrill is the son of Merrill J. Gadsden, Sr. and Blondelle Coakley Gadsden both graduates of the Class of 1975. Merrill’s one and one-half page essay on “The First Black President” was selected from the three that were submitted. The three essays were submitted anonymously to Mr. Gerald Mackey, former English teacher at C.A. Brown, who read and critiqued them to make the final selection. The scholarship requirements also included the following: 1) Applicant must be a high school senior or current student at a college or university; 2) Must have a GPA of at least 2.0; 3) Must be a descendant of a C. A. Brown graduate. The other scholarship candidates were Meggan Deveaux and Courtenay Middleton. Guidelines and Applications for next year’s scholarship awards will be available in September of this year. The Association will be selling raffle tickets for one person to attend the weekend of events during the 2012 Christmas Gala. Tickets will be sold individually for $1.00 or six for $5.00. Don’t miss out on your chance to not only win a free Gala weekend but to also support your alma mater. The proceeds are used to support the scholarship fund and community involvement activities. We are still soliciting your help with the scholarship fund. You can help by making a monetary donation. All checks or money orders should be made to the CABHAA Scholarship Fund and mailed to: CABHAA Scholarship Fund; P. O. Box 532; Ladson, S. C. 29456. 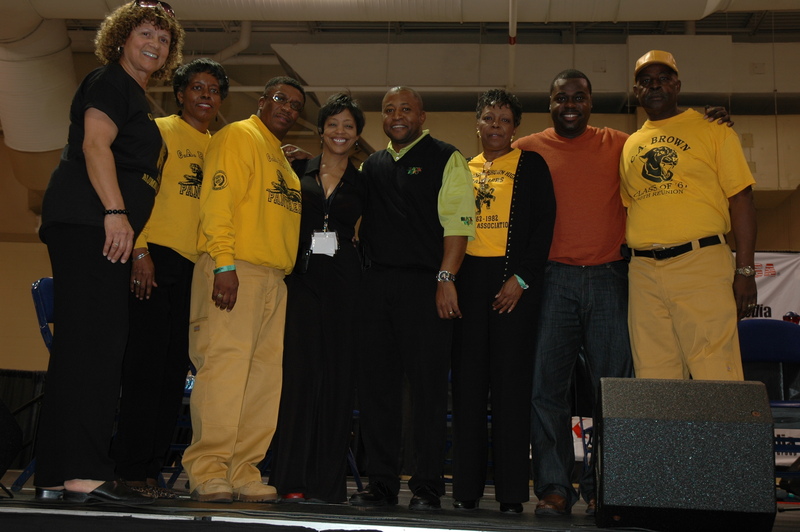 The CABHAA committee participated in the Black Expo Trivia contest on Saturday, March 10. Our opponent was the Bonds Wilson Cobras. 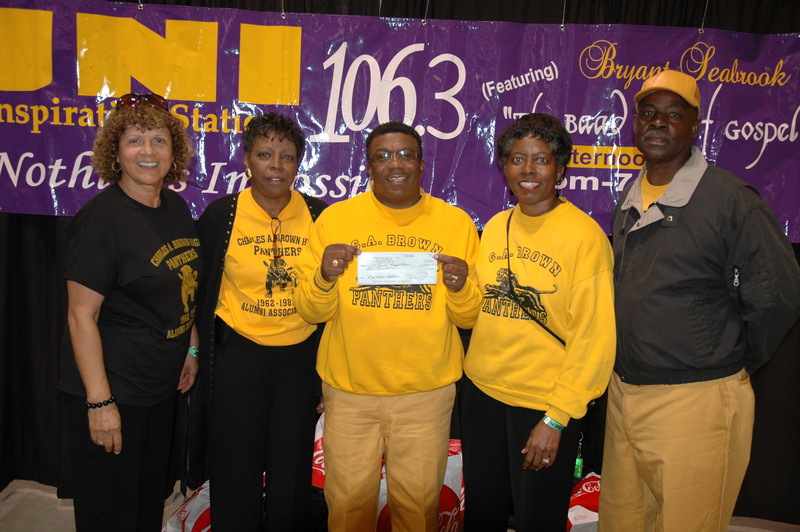 The Panthers won, which netted us $1,000.00 that will go towards our scholarship fund and other community donations. 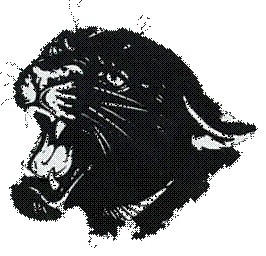 We are still the “MIGHTY PANTHERS”. I bring you greetings and great news. Our school’s name placed on The Preservation Society of Charleston list to be selected as one of the sites worthy of an Historic Marker. This has been a long and tedious process, however, I can’t do it alone. I will need the help and support of all of you, your families, friends and anyone you know that played a part in our school’s era. To achieve this, we must go through a voting process. When all votes are counted, we must be in the top five to receive the Marker. This is why it is imperative that you and everyone you know, vote. On February 10th – March 10th , 2012 the voting process will take place. Attached with this e-mail is Charles A. Brown High Alumni Association Documentary taken during Trident Technical College’s 3rd annual “East Side Day” where the Preservation Society of Charleston acted as the premier presenter sponsoring “Remembering C.A. Brown High School”, a documentary about an all-Black high school in the 1960s that existed where Palmer Campus now stands. Please go online at www.PreservationSociety.org/CAAPA) to vote. This site will also include the online survey where the general public will vote to receive the Historical Markers. The survey for voting will not be posted until the starting date of February 10th – March 10th 2012. Please send this to all of your e-mail connections and ask them to help make this another historical moment for your school. Thank you all for your support and “I’ll Remind You Again Before The Deadline”. If you have any questions, please feel free to contact me at 843-437-0183 or e-mail me. Again, thank you for all that you do to support your school’s Alma Mater. The Charles A. 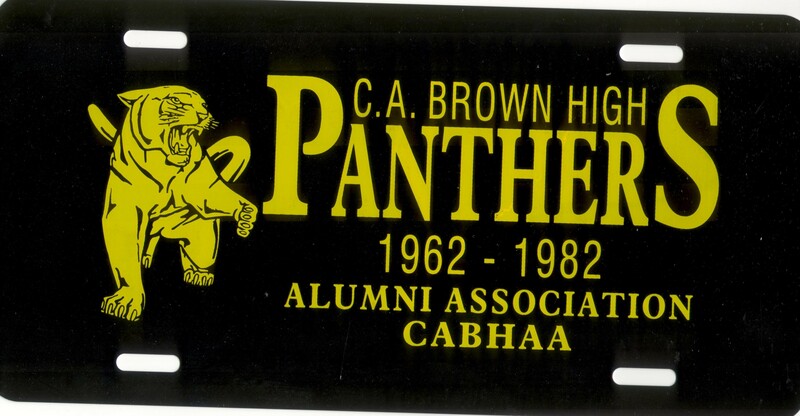 Brown High School Alumni Association (CABHAA) is an affiliate of the now defunct Charles A. Brown High School, an independent, non-profit organization. The purpose of this organization is to provide services to its alumni constituency. Services and activities may be educational, developmental or social and may encourage both fellowship and contributions (scholarships). The association will provide an opportunity for alumni to promote the principles and extend the programs and fellowship of Charles A. Brown High School throughout their lifetime. This organization encourages alumni to support the association and to participate in its growth. PANTHERS, FAMILY AND FRIENDS CAME OUT AND HAD A REAL GOOD TIME, BROUGHT OUR CHAIRS AND LISTENED TO SOME OLD SCHOOL MUSIC. EVERYONE DONATED WHAT THEY COULD AND HAD FUN, FUN, FUN. The First Miss CABHAA Queen Contest is one of the fundraisers that will provide some of the monetary support necessary for the planned activities of the Association such as the 2012 Christmas Gala and scholarship monies. The winner of the title will be the person raising the highest amount of money before the designated deadline. This individual will be crowned the “First” Ms. C. A. Brown Alumni Association Queen.” There are three persons vying for this prestigious title and the winner will be announced at the Banquet being planned for in December of 2011. More details will follow as plans are finalized. There is still time to sign-up if you’re interested in entering the contest. We are asking you to have an open heart and mind if you are asked to support any of the candidates as they solicit funds for the contest. The three individuals will be sponsoring various functions and activities and would greatly appreciate your support. Remember that the main goal is for the Alumni Association to be successful in carrying out its goals of raising funds for scholarships and community involvement activities. You can make a difference. Read December 2010 Newsletter Click Here! Charles A. Brown High Alumni Association celebrated their semi-annual Christmas Gala December 17-19th, 2010 at the beautiful Radisson Hotel in North Charleston. As part of the Gala, we were interested in capturing information about former Brownites who had graduated and gone out into the world to be the first in there prospective fields. Knowing that our school legacy was immersed in great things that our graduates had done, we wanted to capture these valuable information and document them as part of our rich history. Choosing as our theme “C. A. Brown First”, we awarded the following alumnus for their accomplishments as being the “First” in their respective fields: Marilyn Wallace class of 1968 (One of two First Black Charleston City Policewoman), Dr. Cyrus Stroman class of 1968 (First U. S. Naval Officer from Charleston, S. C. in 1972), Robert Washington class of 1971 (First American Regional President for the Fleet Reserve Association East Coast Region), Charles Foster class of 1966 (First graduate of the Citadel Corps of Cadets 1966), Dr. Larry Ferguson class of 1969 (First President of the S. C. Dental Association and First to be awarded a Doctor of Dental Medicine Degree in 1979 from MUSC), Henry Taylor class of 1967 (First to become Brigadier General), Oscar Scott class of 1965 (First Varsity Basketball Player for the Citadel Corps of Cadets), Ambassador James Gadsden class of 1966 Honorary graduate(First to be appointed Ambassador to Iceland and First to serve as Deputy Assistant Secretary of State for European Affairs), Drexel Ball class of 1966 (First chosen as Chair of the United Way Campaign of Dover, Delaware and First to graduate from Morehouse College), Bernice L. Brooks, Esquire class of 1966 (First female alumnus to become an Attorney and First to be retained to represent the Charleston Airport Authority Police Dept.) and Ralph C. Dawson class of 1966 (First Wall St. Lawyer with Reavis & McGrath Law Firm and First to graduate from Yale University). Our speaker for the evening was Rev. Yvonne Bonaparte-Simmons class of 1967. She graciously presented to us our certification of Incorporation from the State of South Carolina. The Association would like to thank all of you for participating in and making our Gala a huge success. Look to our website for pictures of the entire weekend festivities www.cabhaa.org. We look forward to seeing all of you at our next Christmas Gala schedule for December 21-23, 2012. Please take a few moments to browse through our site to learn more about our association, members and the services we offer. Charles A. 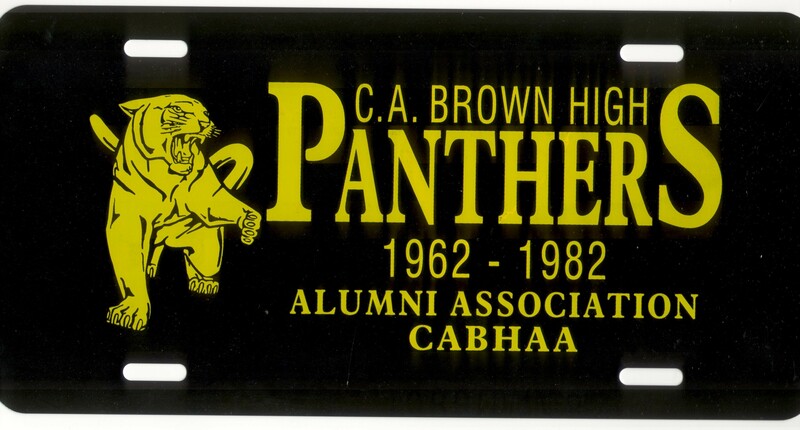 Brown High Alumni Association is a membership-based association of former students and grauates of Charles A. 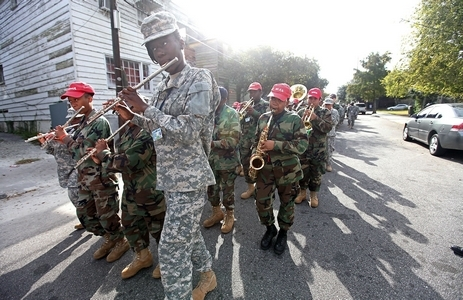 Brown High School in Charleston, South Carolina. We provide our members with the opportunity to continue the fellowship and friendships that made our school such a special place from the time it opened it’s doors until it closed. We offer interesting and exciting activities — both professional and social. If you are a former student, graduate, or Faculty Member of Charles A. Brown HS living in the Charleston or Tri-County area of South Carolina looking for old friends, fun and the opportunity to network with other similar-minded individuals, then joining Charles A. Brown High Alumni Association is right for you! How to show your School Spirit? Show your support and wear a CABHAA ribbon! Proudly sport my school colors and emblem at all our events and functions. The C.A. Brown Alumni Association. Stay connected and join us today! 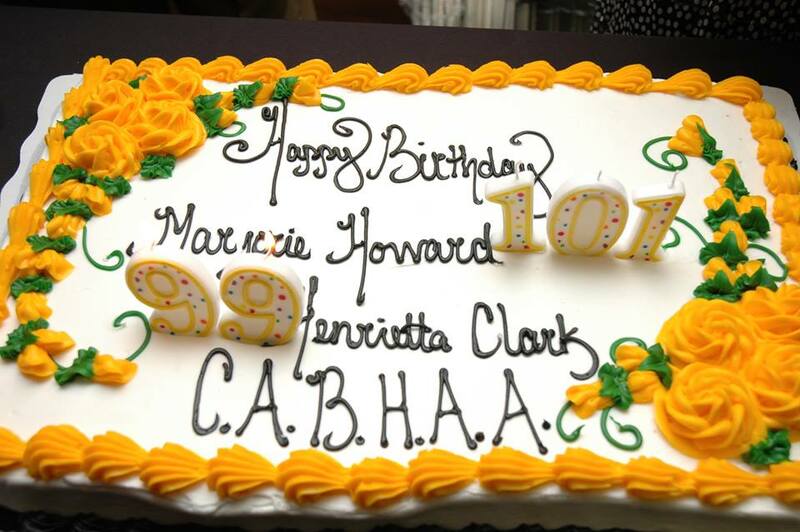 Send us your ideas, suggestions, birthdays, announcements, or items of interest so that we can include them in the CABHAA Newsletter. All classes with upcoming events be sure to submit your information . A: Charles A. Brown High Alumni Association is a non-profit organization that receives no financial assistance from the city, state or federal government. All Charles A. Brown High Alumni Association executive members are strictly volunteers, and our members’ fees go directly to providing them with services and events to promote our organization. A: Charles A. 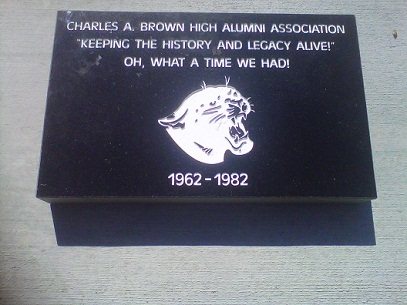 Brown High Alumni Association defines Alumni as anyone who attended, graduated, or was a member of the faculty or staff at Charles A. Brown High School during the years it operated as a High School 1962-1982. Q: How can I become more involved with your association? A: If you are interested in becoming more involved with Charles A. Brown High Alumni Association we encourage you to contact an executive member. We are always looking for volunteers for a variety of different committees. Q: Where and how often does the Alumni Association meet? Photo of the brick that was donated to us from McCarthy and Sons. Do you have any Yearbooks?